Today we are very sad to say goodbye to our wonderful CEO Colleen Yuen. Colleen joined African Revival in August 2014 after having previously led multiple programmes for Article 25 in Africa, Haiti and Sri Lanka. 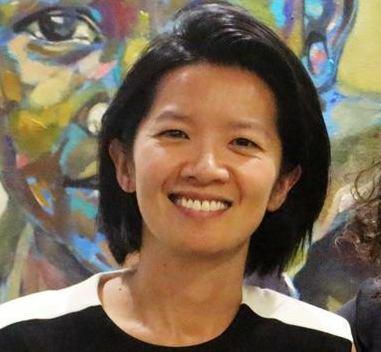 She was also Country Director at Build It International in Zambia before joining us, and remains a qualified architect, with more than 10 years’ experience in the education sector, designing children’s centres, primary and secondary schools. 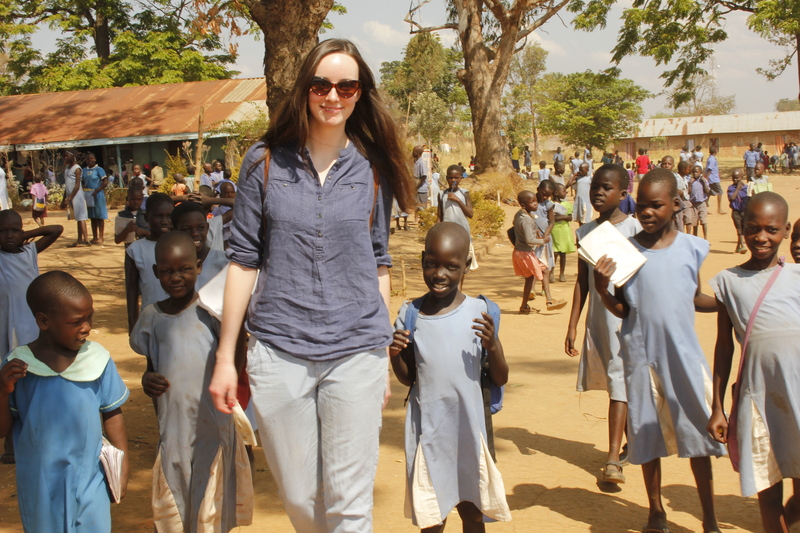 Colleen has split her time over the last two years between our offices in the UK, Uganda and Zambia, closely working with the team in each country and getting to know all of AR’s programmes and schools like the back of her hand. She has done a fantastic job modernising the organisation and leading it the successful high-impact charity we are today. We have no doubt that she will continue to do brilliant things in her next role and wish her all the best – we’ll miss you Colleen! Receiving a certificate of excellent for AR’s work in northern Uganda…. 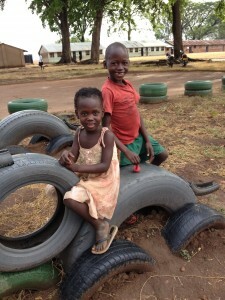 Meeting some of the children we’re supporting…. I studied in this very primary school when I was a child. My father was on the management committee. They were the very people who built this school in 1947. When I was growing up, I really admired teachers. I admired their commitment, the way they presented themselves, and the way they brought up the young children. When I graduated primary school, I went to study in a seminary. I wanted to become a priest. In the seminary we used to teach children and read with them, I always loved children and wanted to see them develop. When we entered the seminary we were many, almost 100. But only 5 became priests. The bible says, “Many are called but few are chosen”. We were called to become seminarians but not chosen to be priests. But that did not stop us. For me, the integrity of teachers in those days, their professionalism, their conduct, and the respect the community gave to teachers, motivated me to become a teacher. During the insurgency by the Lord’s Resistance Army, everything at this school was completely destroyed, the classrooms, the teachers’ houses, even the learning materials. When I was posted back here in 2012, there was almost total hopelessness in the community. You know when there is loss and when there is war, people lose hope in life. We had to talk to the parents to rebuild hope. Then we could start rebuilding the school. We came up with a development plan for the school. Our main goal was to improve performance by providing quality education. Quality education is the role of all the community, the parents, teachers, pupils, the local district, and the Government. So we had to involve all the stakeholders to see that we improved the school. We had to improve the economic welfare of the community, because there was almost total poverty in the community. Parents could not support their children or even provide basic material like pens or school uniform. 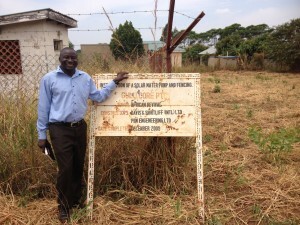 I was happy because African Revival helped us set up beekeeping and farming. Behind the wood lot is a fruit garden. It’s a big plot of fruit trees and the mangoes have started maturing already. 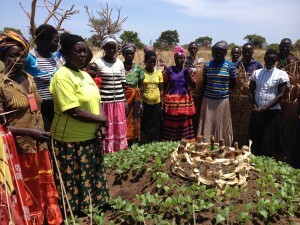 During the rainy season we grow vegetables: maize, tomatoes, onions, and aubergines. Each class has a plot they manage and they sell the produce to raise money for their class. We call the pupils ‘Farmers of the Future’. We gave each child two mango seedlings to take home. They can plant them in their village and show their parents what they’ve learnt at school. 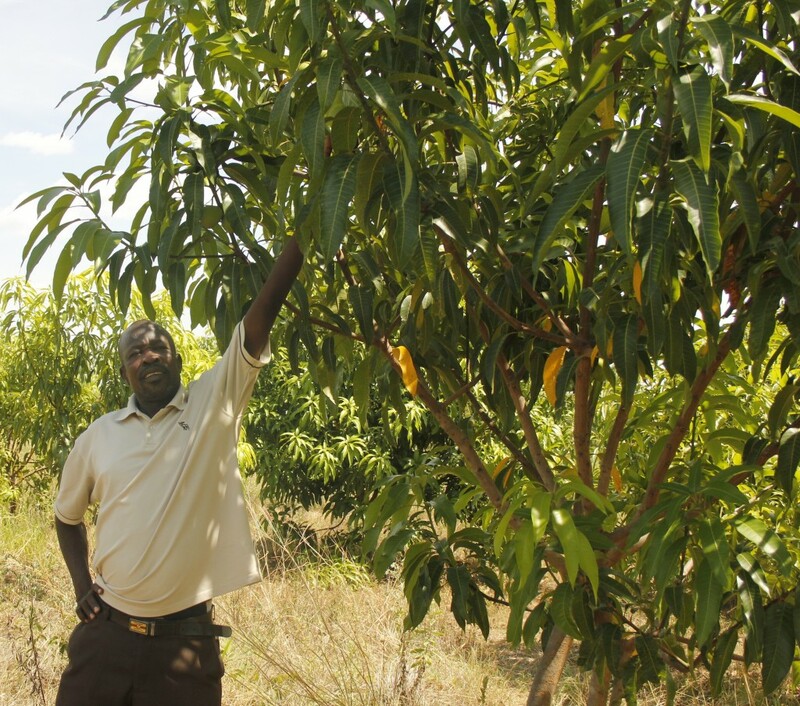 When the trees mature in a year, they can make 100,000 Shillings (£22) from the fruit. This is integrating the school with the community. 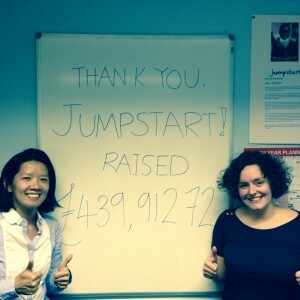 We do things together as one unit – the school and the community. 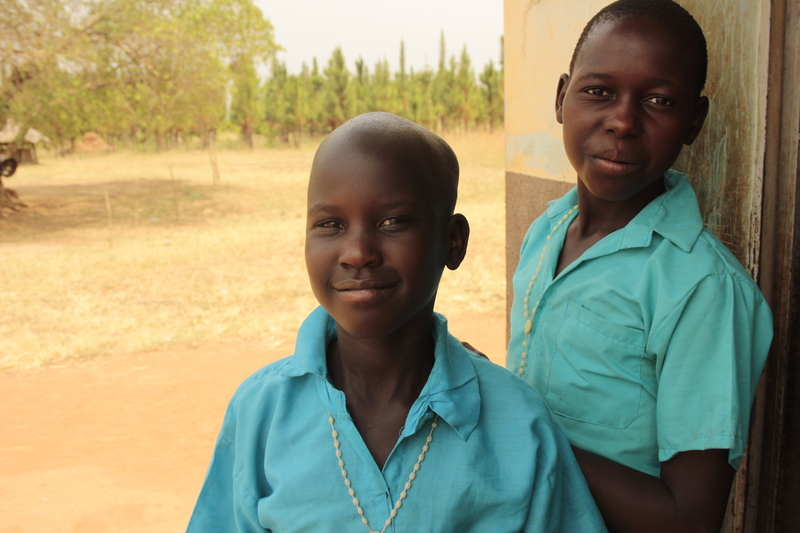 We also teach beekeeping and goat keeping so when these children leave school they can be self-sustainable. Not every child can go to university. But if children finish primary school with these skills, they can improve the livelihoods of their families. I’ve taught for 25 years now. I love my profession. What can motivate you to work hard and perform well if you don’t love your profession? When you have your profession within you, you know what you’re supposed to do. As a Head Teacher you must be self-motivated. You must love your country. You must love your nation. You must love your people. Teaching is love for humanity. If you don’t have love for humanity, you won’t succeed. These children are the most innocent people. When you care for them, you build a generation that will be self-sustaining, a generation that will be caring, a generation that will be peace-lovers. And we will be free from violence. 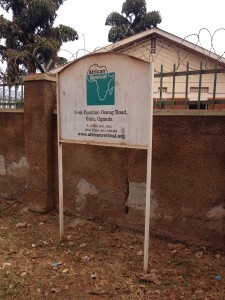 Two weeks ago, I was lucky enough to travel to Uganda and see some of AR’s projects first-hand. After a long journey via Dubai and then a 5.5 hour drive up from Entebbe, I finally made it to Gulu, had a quick dinner with AR volunteers Sophie and Cara, and then caught up on some sleep ready for my first day of project visits. My first big moment of excitement was driving into the African Revival compound for the first time and finally meeting all the Uganda staff (who I already felt I knew from having worked with them remotely for such a long time!) 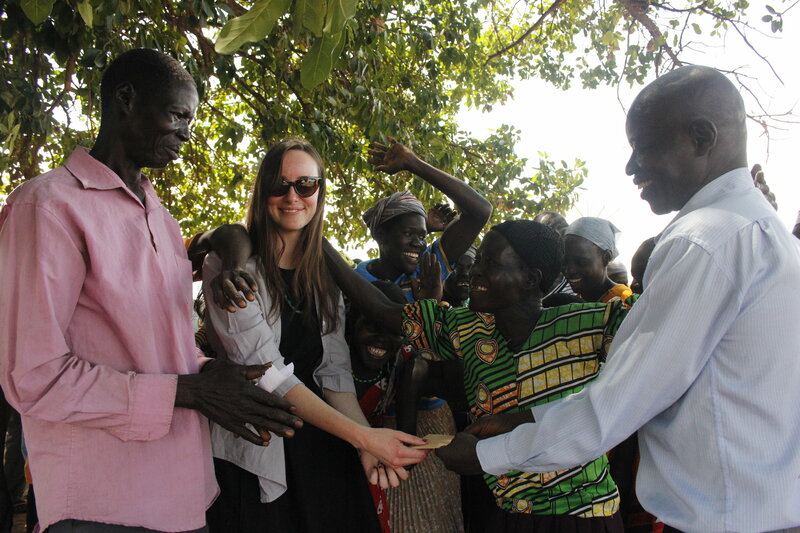 After shaking lots of hands, it was off for the first visit of the day – Gulu Core Primary Teacher’s College. We met with with some senior staff and heard about the impact of some of AR’s support, like the water pump, solar panels and bee hives installed in 2008, as well as the supply of books in the college’s library. The Principal stressed the importance of teacher and livelihoods training, and told us “small as you think you are, you are a very great organisation”. 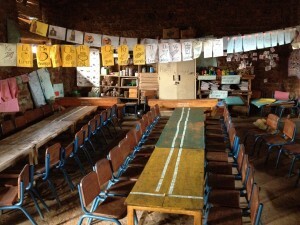 In the afternoon, we travelled a short distance to Cubu Primary School to see how some of AR’s historic work was doing. It was good to see the classrooms blocks and library in good condition and being used well by the school community. 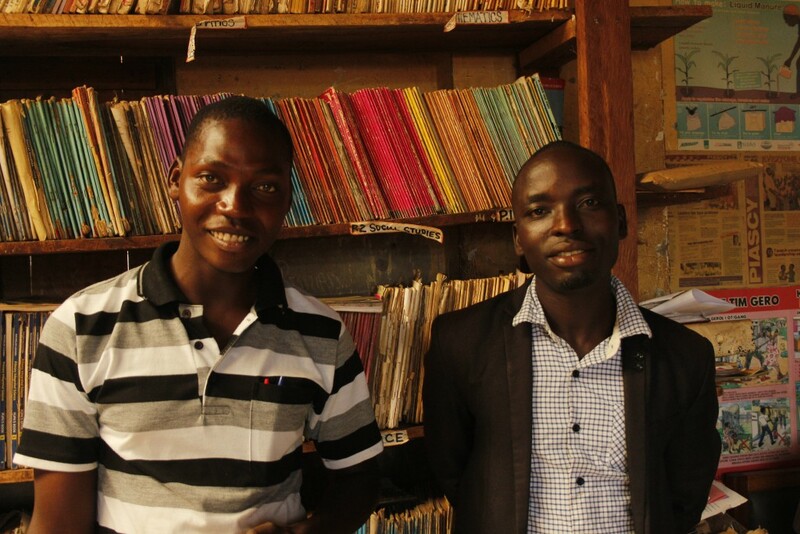 We also stumbled upon a VSLA (Village Savings and Loan Association) meeting run by a group AR helped establish back in 2012 there! 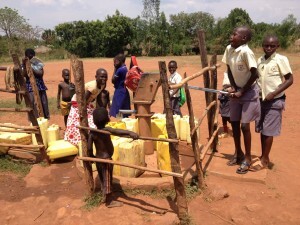 As you can see, the borehole remains very popular. The next day, we visited ‘the best school in Nwoya’ – Koch Goma Primary School. With 1,200+ students, this school seemed huge and it was apparent that more classrooms are needed to cope with such a big intake. But the fact that so many want to go there (many students travel up to 8km every day to attend the school) shows just how well Koch Goma is doing, despite the challenges faced by many schools in this region. I was also encouraged to see how seriously the Headteacher took the issue of girls dropping out as a result of embarrassment connected with menstruation. He told us that as a result of the girls’ changing room built by AR, girls aren’t missing school because of their periods any more, which was great to hear. Next on the agenda was nearby Koch Lila Primary School. 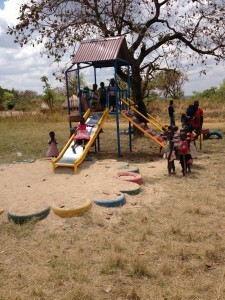 I immediately recognised the school from photos, with its brightly coloured playground recently installed as part of Jumpstart – our early education programme. We were lucky to be visiting just as a class of nursery students were lining up to take turns on the slide! 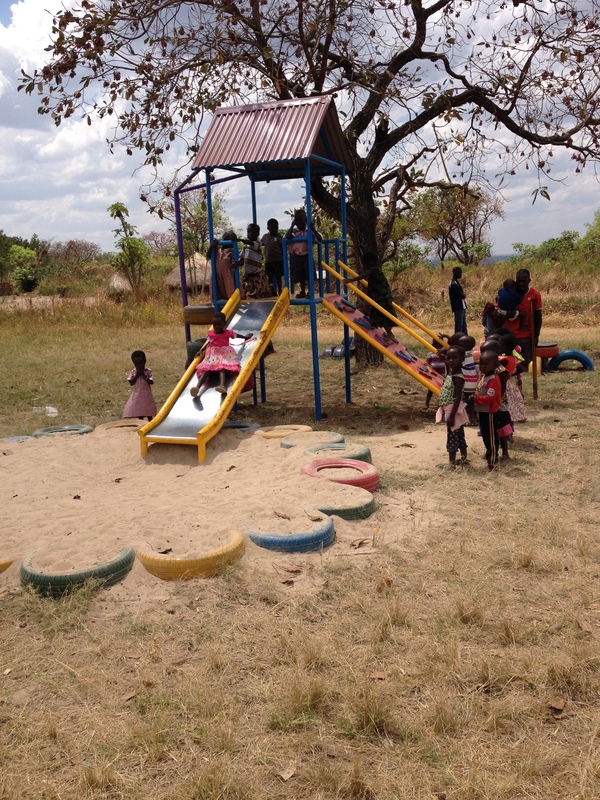 It was clear that the children loved the playground, but it was also really interesting to hear from Richard, AR’s Education Programme Coordinator, about the importance of play, not just for the sake of fun, but for a child’s physical and mental development. As we travelled around other schools in the region during my visit, I was amazed at the big difference in confidence among children that had attended nursery before starting school, and those that had arrived straight to primary school with no prior schooling at all. One of the schools I had been most excited about visiting was Lutuk Community School, as I’d heard so much about their inspirational Headteacher, Walter, who took on that role at the age of just 19. 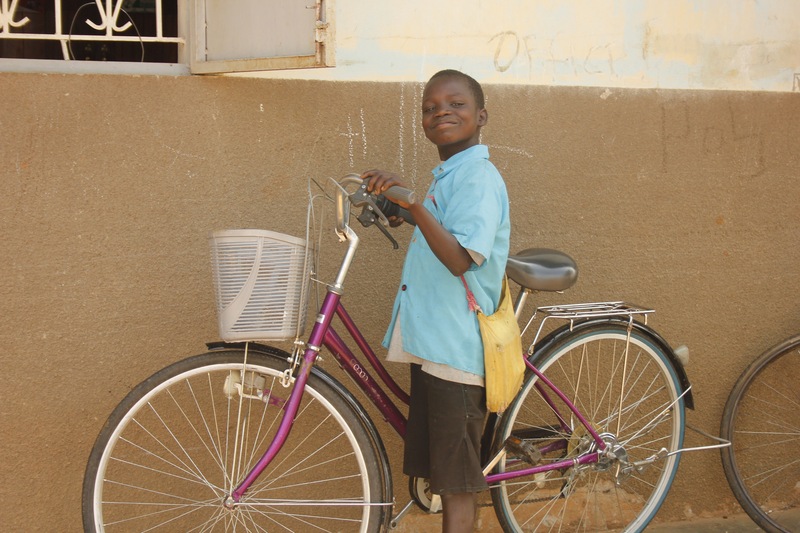 Although there is still a lot of work to be done at the school, Walter and the community have achieved a lot, which is reflected in the school’s recent improvements in enrolment and academic attainment – in 2009, the school had just 64 students. Now they’ve got over 600! 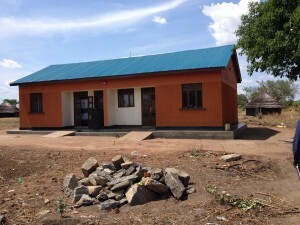 AR has built a classroom block and latrine at Lutuk already, and is currently helping to train 3 of the school’s teachers to improve the quality of education offered – we’re still looking for the £1,733 that will send them through the third year of their training. Do get in touch if you’d be interested in supporting the school with training their teachers in this way. The next week, I met another very young (but equally as inspiring!) 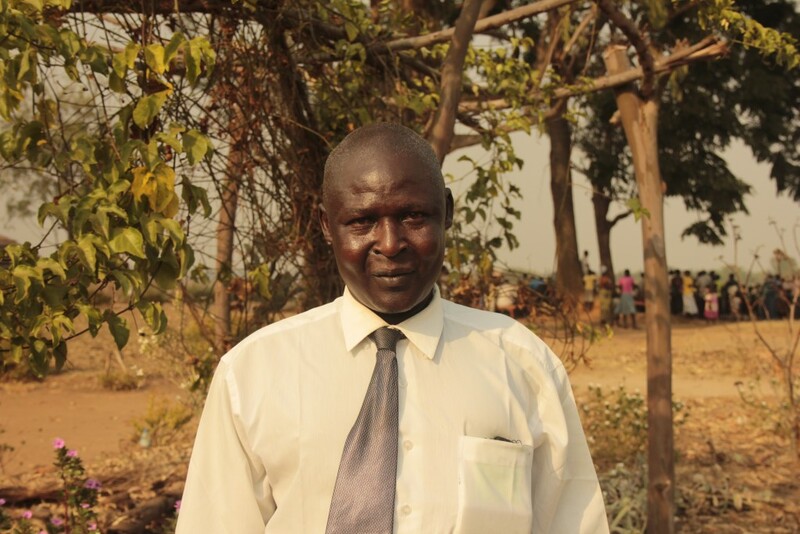 Headteacher – Sunday, who runs Lacek Community School in an incredibly remote area of Nwoya District. 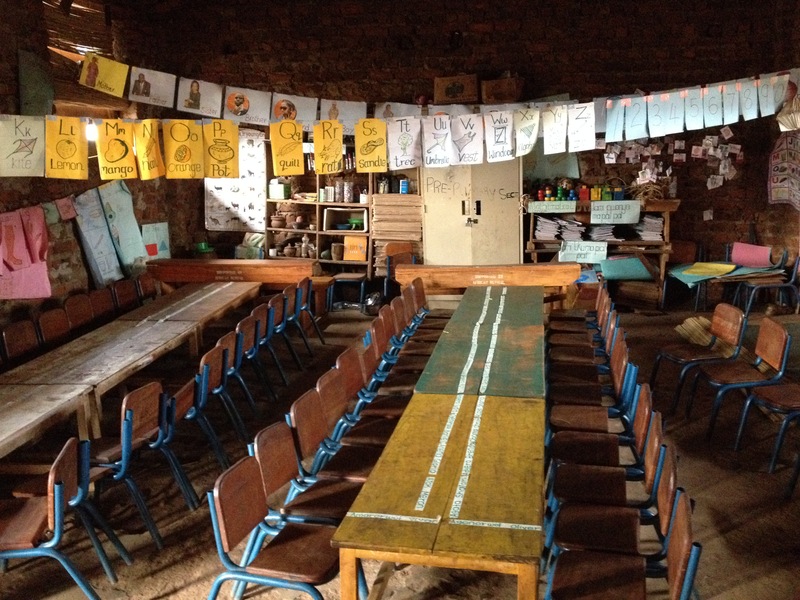 Here, 4 year groups are housed in temporary structures and there is just 1 desk for every 4-5 students. 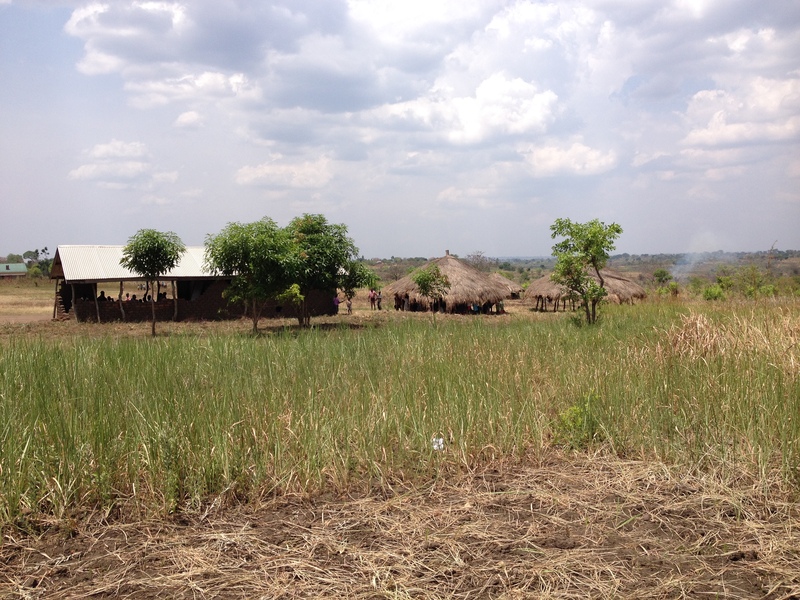 The school has no electricity, no teachers are resident on site and there are only 4 latrines for the 300+ students. Despite the difficulties, parents at the school are making bricks which they hope to use to build a new classroom block. The teachers are similarly dedicated, doing their best to make learning aids out of re-useable materials and many keep coming to work even when parents can’t afford to pay them. Sunday told us that “without them, the school would collapse”. One of the biggest and oldest schools I visited was Anaka P7, founded in 1938 and currently teaching well over 1,000 students. 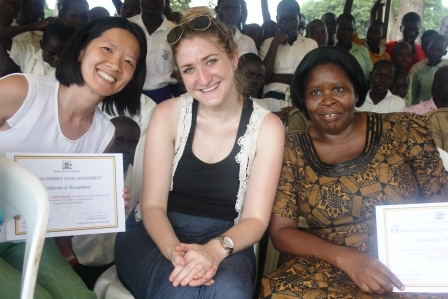 Despite a huge thunderstorm battering against the office’s tin roof and making it almost impossible to hear, we were privileged to spend some time with Anaka’s Headteacher Lily-Rose. She emphasised the importance of girls’ education and told us with pride of the challenges the school has overcome in the last few years, from high female dropout rates to limited teaching resources and poorly furnished classrooms. Although the school still needs things like more teacher housing and more school staff, it was great to see a school that is consistently improving in what it is able to provide – all with the continuing support of a dedicated school community; parents, teachers and students alike. I spent my last few days in Uganda visiting some of our school garden projects, which have been in operation for just over a year. At each school, we were warmly welcomed by parent-farmer groups who told us about the history and successes of their school garden, and it was amazing to hear how well parents had come together and how much they had been able to grow and sell, even with problems caused be erratic weather as a result of climate change. All the groups I visited had managed to make enough money to contribute to the development of their school, and many had big plans for the coming harvest season, with one group even coming together with their own money to rent a tractor and plough more land. 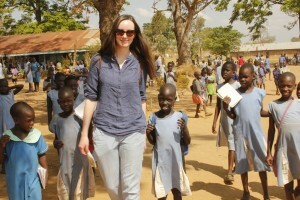 My last visit was to Juba Road Primary School, up near the border with South Sudan. AR has supported the school with a lot of its infrastructure, but most recently with a brightly coloured teacher’s house which means more staff can live at the school, providing extra support to students and even protecting the school site from vandalism at night. This school in particular really drove home the whole purpose of AR, as it’s a school that is now heading down a strong path to being able to provide quality education without the need for our support. 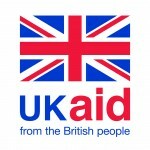 I’m confident that one day all the schools we’re currently supporting will be well-equipped to provide all their students with the tools they need to secure a high quality education and a bright future (independent of external assistance), and I look forward to seeing how they all continue to grow and improve over the next few years. 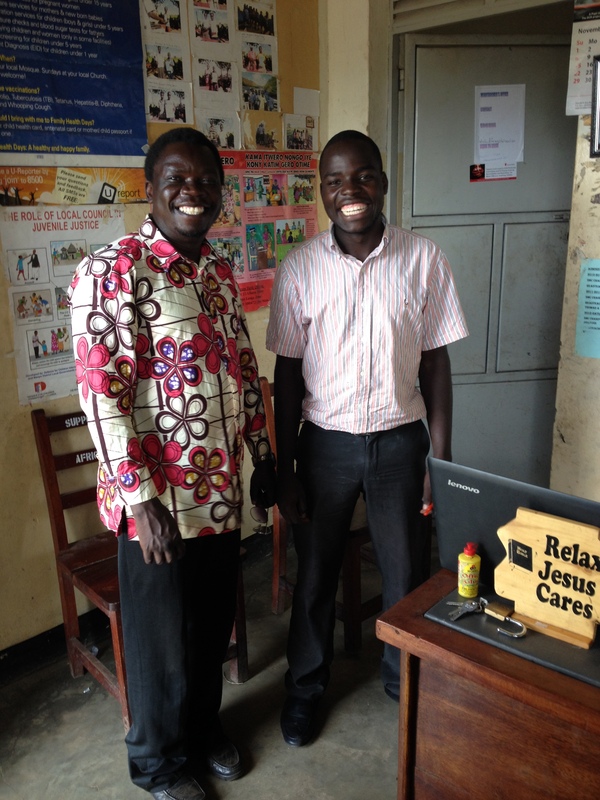 Thank you so much to the AR Uganda team for being so welcoming, and to all the staff, parents and students I met in Gulu, Nwoya and Amuru Districts for taking the time to tell me about their school and show me around. 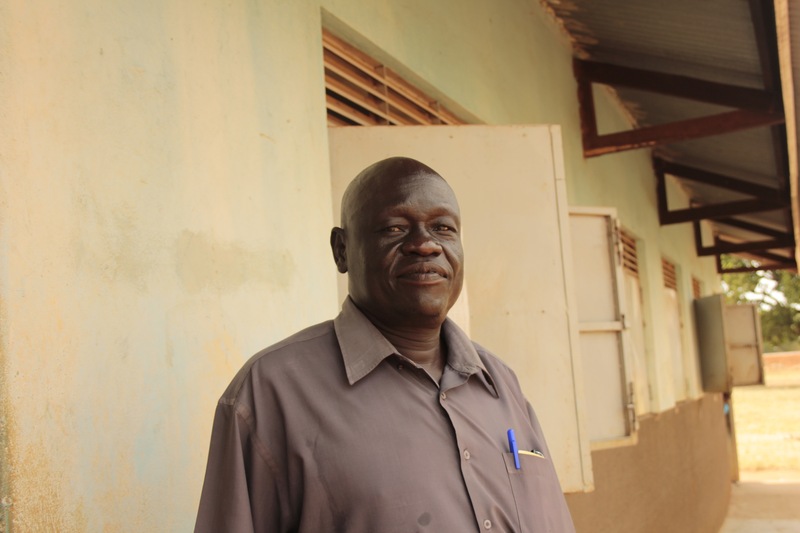 Head Teacher Geoffrey was posted to a rural school in Northern Uganda after the 20 year insurgency by the Lord’s Resistance Army. Over the last few years he has transformed his school. This is my fifth year at Koch Goma Primary School. 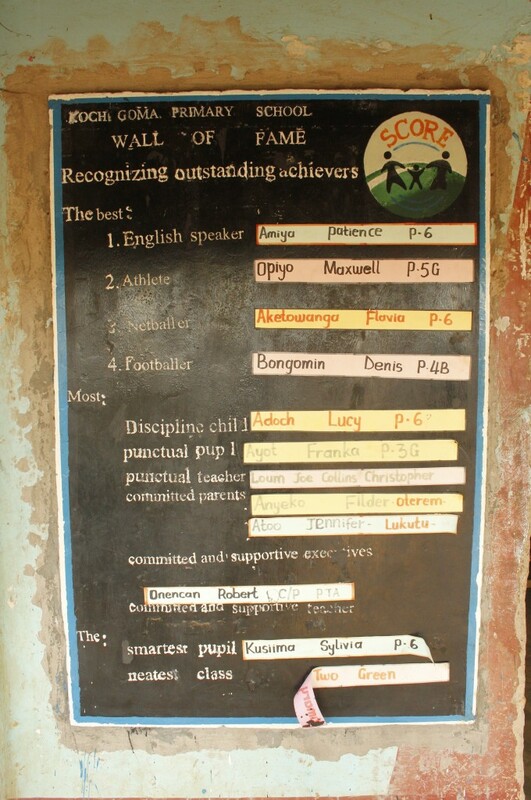 Before the insurgency by the Lord’s Resistance Army, this school was one of the best in the country. But 20 years of insurgency brought it to the ground. All the books were destroyed, all the desks were destroyed, all the school assets were destroyed. 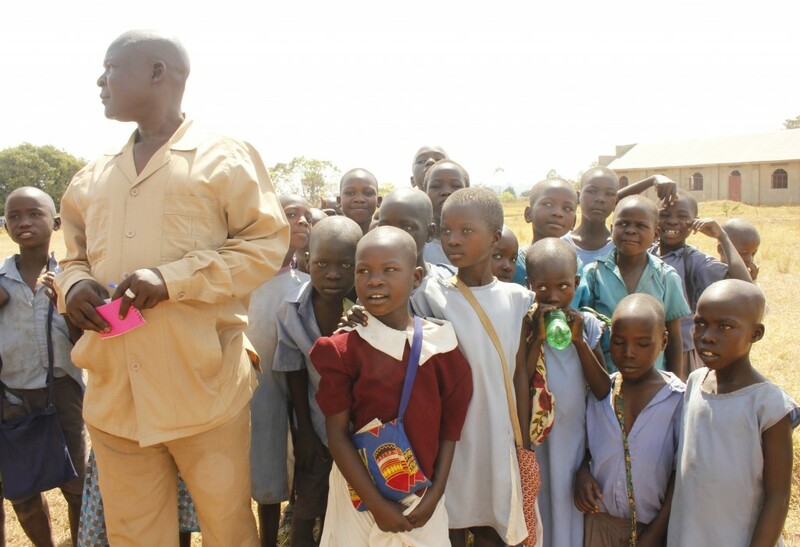 For several years during the insurgency, the school was transferred to Gulu town, about 27km away, for safety. Later, the school returned to this site. But this site had become an Internally Displaced People’s Camp. All the parents, teachers and pupils had been moved into the camp and this changed the culture of the school. Teachers had become undisciplined, they didn’t want to teach and they didn’t want to plan. The children were so undisciplined. The syllabus was never completed. You would find a child in Year 6 who couldn’t even write his name. Then I said to the District Education Officer, “Give me four years”. I wanted to work on changing attitudes and this takes time. So I put in place three strategies. The first was simple, to change the physical layout of the school. I created paths, planted flowerbeds and I bought classroom doors. I painted the classrooms and I put posters up. I built a football pitch and a netball pitch, space for young children too and for free games. When the parents saw how the school was looking, they started feeling positive. They were coming to love the school. My second strategy was to change the way money was used in the school. I researched a local financial institution called The Circle. Then I negotiated with the School Management Committee and the Parent Teacher Association to bank our money there. I said, “We don’t want to handle money in the school. When the parents come to pay fees, we want them to pick up a slip, and deposit the money in The Circle”. When the various school departments need money, they fill out a request slip. I verify the request with the PTA Chair and the School Treasurer and we withdraw the money from The Circle. We keep receipts for all transactions. When the parents saw this, they said, “Our money is safe”. The third thing I did was to train teachers. We found the children couldn’t read or write, and then we went to the teachers and we found the teachers couldn’t read or write. So we began with the teachers. I was a tutor myself [someone who trains teachers at a Teacher Training College] for four years, so I also trained them on professional ethics and code of conduct. Then we negotiated with the parents to send their children in on Saturdays, and we asked the District Education Officer to let us stay open during holidays. We used this time to catch up on the syllabus. We are very happy because last year we heard our Primary Leaving Exam results were the best in the district. Our challenge now is classrooms. Parents have rushed to register their children here for the new school year, but we don’t have space so we turn some away. We have 1,200 children registered for 2016, plus 200 more in the nursery section. The District Education Officer said if we had more classrooms, they would send us more teachers. All in all, I am trying to create teamwork. I am trying to encourage people to feel responsible for what is happening in the school. Then when we are successful, it is a success for the whole team. In everything I’m doing, I’m trying to involve people. I don’t do it alone and that’s why we are successful. I hope our school will continue leading! “Right from when I was in primary school, I admired teachers. They were well-respected people with good families. I had one teacher called Rosabella. She was organised and hard working, I said to myself, ‘The day I become a teacher I will be like Rosabella’. 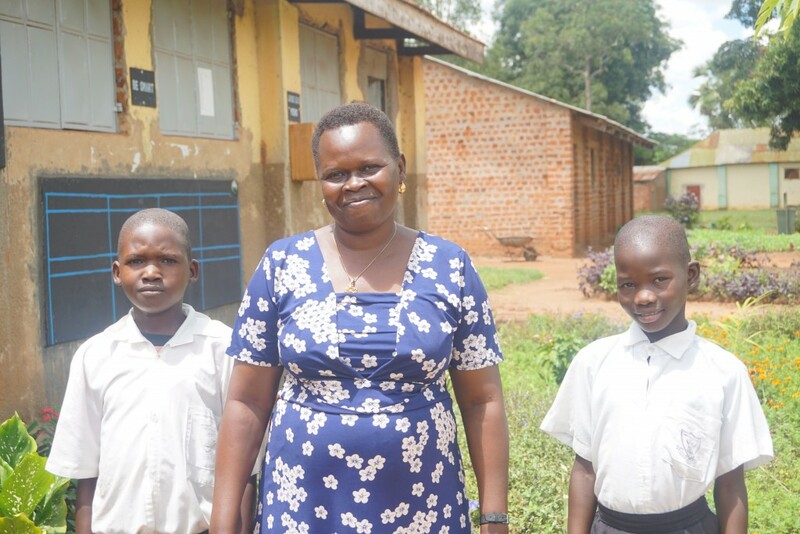 This is my fifth year at Anaka Primary School, but I’ve been a Head Teacher for 15 years. Many people here know me and that makes me proud to be a Head Teacher. What I enjoy most about my job is having children who are disciplined, parents who love their school, and teachers who work together. This makes me very happy. As an important lady in the community, I try to share my own experiences with our girls. I was once a young girl too with the same challenges. I have female teachers who are role models and we have monthly meetings with the girls to discuss any issues. On top of that, we have built girls’ changing and washrooms and we have trained the parents on how to make sanitary pads. At least once a term I invite female parents to the school. Not all of them know how to take care of their girls. Some of them don’t provide basic items like soap or sanitary pads. We help the parents understand their responsibilities. We tell them to provide for their girls so they don’t get interested in the men outside school. By providing for our girls at home, we can keep them in school. Above all, I’m a mother and a role model to these girls. I hope that because of me, many girls will continue studying and will become something in the future. I hope many successful girls will come out of my life!